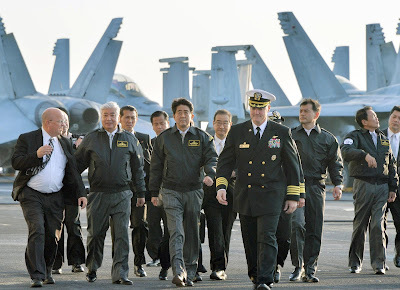 Current Japanese Prime Minister Shinzo Abe became the first sitting Japanese Prime Minister to board a United States Navy Aircraft Carrier, the newly deployed USS Ronald Reagan weeks after it arrived at its new home port at Yokosuka Naval Base in Kanagawa Prefecture. This comes one month after the Japanese Parliament (Diet) voted to enact new laws expanding the role of Japan's "Self Defense Forces" in a time of crisis to assist Japan's allies if needed. After the 3/11 Tohuko Disaster, the USS Ronald Reagan participated in Operation Tomodachi. 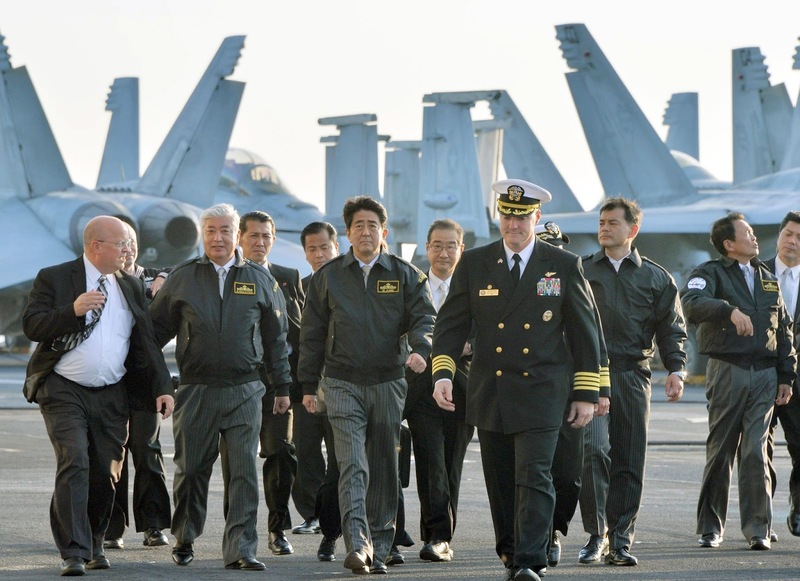 Such good will on the part of the US Navy has not been lost as PM Abe declared the USS Ronald Reagan a Tomodachi (friend) who was there to help the people of Japan during it's time of need. To the Ship and its crew, PM Abe wished to give a "hearty welcome" and a continuation of what he calls the US-Japan "Alliance of Hope."